When it comes to budget phones, Honor has been leading the way. 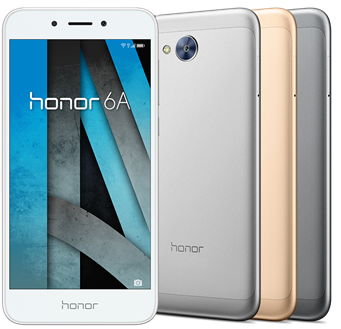 While generally, Honor will throw in a bit of hype before a launch, this time, they have sneaked in the Honor 6A. At just shy of £150, this phone gives you a set of decent specs at a very decent price. As is obvious, the specs are pretty decent. The nearest competitor in the same price range is the Moto G5. While it wins on the RAM and resolution front, the Honor 6A features the better processor and battery. The Honor 6A brings a 13MP main camera for impressive photography, something that Honor has been very good at. Using 0.3second PDAF, it makes it easier for users to capture their memories. As before, the Honor beauty mode embraces the 5MP camera up front. The device brings a clean rounded design, only 8.05mm thick. It features a 2.5D glass in a metal unibody, giving every user a comfortable hold. The compact 5.0 display gives 1280 x 720 pixels of HD goodness. Inside, you will find an Octa-core processor giving you Android 7.1 under an EMUI 5.1 skin and 2GB of RAM with 16GB of storage. Dual SIM makes it versatile, which micro SD compatibility lets you make this a media machine. Of course, you have 4G connectivity. On top of this, where compatible, Honor have also thrown in VoLTE. At 3020mAh, the battery life is pretty decent too. The highlight feature of the device is its too-good-to-be-true pricing. At £149.99, it gives you a great price for a great handset. The device is up for pre-order from VMall and will be available in Dark Grey, and they throw in a complimentary tripod selfie stick. It is also available from Three UK at the same price or starting from £11 on a 24-month contract. It is now available from Three UK.